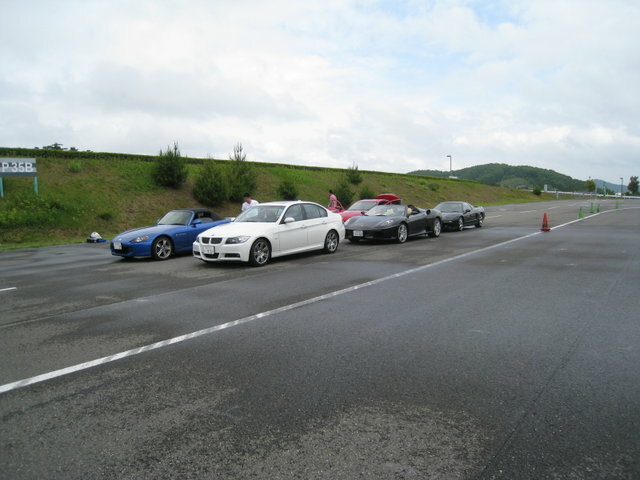 Anyway - about Yamano Handling Club PLUS... it's an all day event held at a special area at Motegi raceway, the concept is basically to explore your car's limit in a safe, non-high speed course - somewhat like an autocross, but not timed. I found out about this through my friend Tom (http://tweety-roadster.blogspot.com/), and so myself, my SDIJ friends Richard and Rumman spent the day at Motegi - Richard in his 2008 Honda S2000 (http://featherking.blogspot.com/), and Rumman in his 2008 BMW 335 sedan (turbo!!). Richard and I, both not being early bird people, decided to stay the night before at the hotel at Motegi. Highly recommended (note, ladies, Richard and I were in SEPARATE rooms, of course). Rumman met us downstairs during breakfast the day of. On the way home, the odometer hit 90,000 kms!